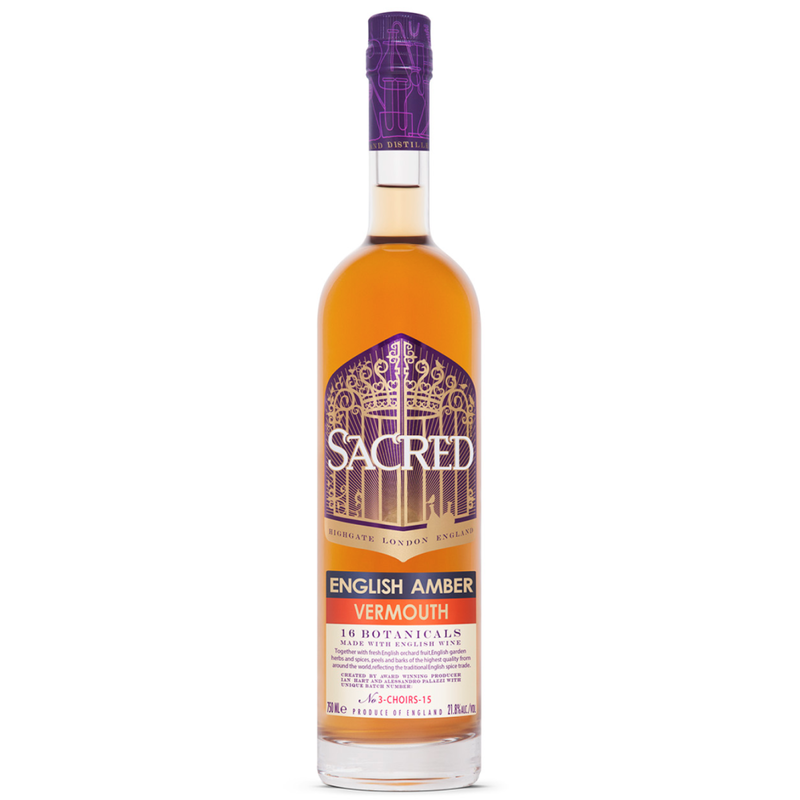 Delicate, floral with a distinct note of Spanish orange, this vermouth is made using English wine from Three Choirs Vineyard in Gloucestershire. Carefully crafted in collaboration with Alessandro Palazzi from Dukes Hotel, SW1. Delicious when served in a Vesper made with Sacred Gin and Sacred Organic Vodka, both poured straight from the freezer. Alternatively, pour over ice with a large pared orange zest, or make a wonderfully summery Sacred Amber Spritz using English Sparkling Wine and Soda. Sacred Spirits is an award-winning microdistillery based in a residential home in London, who craft their unique spirits by hand. Amazing. As a gin enthusiast I have to say this gin is magnificent. It's so pure and smooth, it's actually shame to put it with anything, even tonic. An award-winning microdistillery based in a residential home in London.